Congressman Bartlett then moved to discuss the situation in the US stating several times that it was difficult for him to understand why it was that not everyone appreciated that the decline in oil production was due to the fact that the U.S. is running out of oil. He turned to a map that showed only those countries that had oil reserves and where the size of the country represented the size of their reserves. Suddenly the US looked very small indeed. The fact that the U.S. consumes more oil than any other country clearly demonstrates its dependence on imports from the Middle East. Half an hour later he ended with a few comments on the global situation. He showed that the peak in discoveries had occurred in the 1960s and that the world discovers much less then it uses every year. The fact that for the US discoveries peaked in the 1930s and that subsequently, production peaked 40 years later must also be true for the world. In the constitution of ASPO, we have the reserved the right to nominate Honorable members of ASPO and Congressman Roscoe Bartlett is definitely a very strong candidate. The SPEAKER pro tempore. Under the Speaker's announced policy of January 18, 2007, the gentleman from Maryland (Mr. Bartlett) is recognized for 60 minutes as the designee of the minority leader. Mr. BARTLETT of Maryland. Mr. Speaker, I need to begin today with an apology first. I need to apologize to my very good friend and chairman of our Subcommittee on Armed Services, GENE TAYLOR, and I need to apologize to Ron O'Rourke and Eric Labbs who are testifying in a very important subcommittee hearing that I was not able to attend the two series of votes this morning because I had orthostatic hypotension and I could not maintain a standing hydrostatic column. What that means, Mr. Speaker, if I stood up too long I would faint because I was suffering from the flu. So I want to apologize to Congressman Taylor and Ron O'Rourke and Eric Labbs and assure them that I was, indeed, sick. I was in the attending physician's office, and I want to thank the attending physician and his assistants there. They do take good care of us. I guess I ought to thank my parents, too, for the good genes they gave me because the recuperative powers of the human body are just amazing. Because of the great genes, I got from my parents; I am blessed to have more recuperative power than the average person, for which I am very thankful. I wouldn't be here except, for me, this is a very important day. I think it is a very important day for the country and the world. You see, two months from today will be the 51st anniversary of what I think will be regarded very shortly as the most insightful speech given in the last century. This was a speech given by Hyman Rickover to a group of physicians in St. Paul, Minnesota. I will have a quote or two from his speech in our little discussion today, and I encourage you to do a Google search for Hyman Rickover and energy, and it will pop up, and I think you will agree it is the most prophetic, insightful speech you have read. Mr. Speaker, I think this is probably the 40th time I have come here, because this is the third anniversary of the first time I came here, which was on March 14, exactly three years ago. Between then and now, I was very privileged to have the widow of Hyman Rickover join me. She sat in the gallery up there where I, for an hour, read from her husband's speech and commented on it because it was a very historic speech. Well, this is a very special day for me today because I have a very good friend, Kjell Aleklett. He is from the Uppsala University in Sweden, and he is the president of ASPO, the Association for the Study of Peak Oil&Gas. They have been around for a long time, and if the world had been listening to them, we would not have $110 oil today. And I think you will agree with me as we go through the charts, that would be correct. He sits in the gallery, and thank you, sir, very much for joining us. The first chart I have is a chart that I have used every one of the 40 times that I have been to the floor. I just wanted to start with this chart because apparently a lot of people have trouble understanding it. I just don't know what is hard to understand about this chart. This seems to me to be a very simple chart. You need to go back to 1956 to kind of set this in context. In 1956 on the 8th day of March, just a few days ago was that anniversary, a speech was given that I think will be the most important speech given in the last century of Hyman Rickover. It was very insightful. I think the speech given to M. King Hubbert to those assembled oil engineers and oil company people in San Antonio, Texas, will be judged to be the most important speech given in the last century. At that time, the United States was king of oil. We were producing, using, and exporting more oil than anybody in the world. In that climate, M. King Hubbert got up and told the assembled experts there that in just about 14 years, no matter what they did, the United States would reach its maximum production of oil. And after that, there was going to be less and less and less, no matter what they did. Here is a chart which shows that, and I don't know what is so hard to understand about this chart. It has been out there for a very long time. The data has been out for a very long time. You could have constructed this chart very easily many years ago. What M. King Hubbert predicted was that the lower 48 States, the rest of the United States plus Texas, and Texas was pretty big, that they would peak in 1970, and after that, no matter what we did, the production would fall off. Indeed it did. Now, we found a lot of oil in Alaska, and we found a fair amount of oil in the Gulf of Mexico. Those fabled discoveries in the Gulf of Mexico hardly made a blip in the slide down the other side of Hubbert's peak. I have been to Alaska to the beginning of that 4-foot pipeline through which, for some years, 25 percent of our domestic production of oil flowed. And that made a little blip in the downward slide on the other side of Hubbert's peak, but it didn't reverse the slide except for momentarily. Now, the reason I ask what is so hard to understand about this chart is that the same man who predicted this in 1979, I believe, predicted that the world would be peaking in oil production about now. I think the obvious question that any rational person would ask themselves is: If M. King Hubbert was right about the United States, which certainly has to be a microcosm of the world, why shouldn't he be right about the world? If in fact, by 1980 it was very clear that he was right, that we peaked in 1970, that was 28 years ago, shouldn't the United States and the world have been doing something about the inevitability that the world would probably follow this same kind of a pattern, that the world would reach its maximum production of oil, and no matter what they did after that, it would tail off. Let me tell you what we did in our country to try to make M. King Hubbert a liar. That is not why they did it, but that is the effect of it. 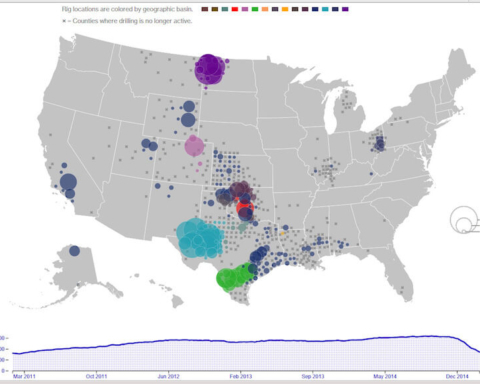 We have drilled more oil wells in our country than all of the rest of the world put together. In spite of having 530,000 producing oil wells, today we produce a bit more than half the oil that we produced in 1970, in spite of the fact that we have large amounts of oil from natural gas liquids, from oil from Alaska, and from oil from the Gulf of Mexico. I have used this chart 40 times here, and what is so hard to understand about this chart? In 1956, we were here, and he predicted in 1970 we would be here. And then he predicted, in spite of enhanced oil recovery, in spite of the best discovery techniques and modeling in the world, in spite of drilling more oil wells than the rest of the world put together, we are still producing in the lower 48 way less than half of the oil than we produced in 1970. What is so hard to understand about this? And the same man who predicted that predicted that the world would be peaking in oil production about now. Well, you know, it is hard for me to understand why with this knowledge that the world wouldn't have said, gee, we really ought to be doing something because this oil is not going to last forever. Mr. Speaker, it was probably 40 years ago, maybe it is because of the scientist in me, that I started asking myself that question. I looked around the world, and there was rock and stones and trees and grass, and I said, you know, oil has to be finite. There has to be a finite amount, and how much is there. And when should I start being concerned about the amount of oil that is there. Is it a year, ten years, 100 years? Maybe it is a thousand years. But at some point, I knew we would be where we are today. Again, Mr. Speaker, what is so hard to understand about this chart? And why has there been denial worldwide, just forget it, don't think about it, ignore it? Ignoring it won't make it go away. The next chart is a statement by Condoleezza Rice, and this comment was mirrored in the President's State of the Union. We do have to do something about the energy problem. I can tell you that nothing has taken me aback more as Secretary of State than the way that the politics of energy is, I will use the word 'warping' diplomacy around the world. We have simply got to do something about the warping now of diplomatic effort by the all-out rush for energy supply. That was April 5, 2006, about two years ago. What have we done since then? This was a recognition of a real problem. If you look at what this Congress has done in the last two years, what this administration has done in the last two years, what the world has done in the last two years, what have we done in response to this recognition by the Secretary of State that this is a huge problem? Well, one country has been doing something. China has been doing something. China has been going all over the world, and you can see the symbol here for China, they have been going all over the world. They wanted one in the United States. They almost bought Unocal. Remember the furor over that. I wasn't that disturbed because the reality is in today's world, it doesn't make any difference who owns the oil because almost all of the oil is owned by countries, most of them, but he who comes with the dollars gets the oil. So whether they own Unocal, I didn't think made all that much difference, but symbolically it made a difference. And fortunately, they didn't buy it. The next chart is a really interesting one. I guess if there were only two charts to look at, this would be one of them. And several charts from now I will point to the second one that I think is the most instructive. These are the two most instructive charts that I have seen. This is what the world would look like if the size of the country were about how much oil reserves the country had. That is a different looking world, isn't it? Here is our hemisphere over here, kind of an anemic hemisphere. Venezuela has way more than half of all of the oil in all of our hemisphere. But look at where most of the oil is. The land mass of Saudi Arabia would be 22 percent of the land mass of the world if the size of Saudi Arabia were about the amount of oil that it held. Look at little Kuwait. You look at Iraq, way down to the east is what looks like it ought to be a province of Iraq, and that is what Saddam Hussein tried to do in the Gulf War. They have the second, third, or fourth depending on what you believe the numbers they give us for their reserves. Iraq is huge. And Iran is big. The little United Arab Emirates, you almost have to have a magnifying glass to find them on the globe, but they have quite a bit of oil there. Look at where we are over here. We have only 2 percent of the known reserves of oil, and we get most of our oil from Canada and Mexico. Notice that Canada and Mexico, each of them has even less oil than we have. So how come we're getting oil from Canada and Mexico? Well, there aren't very many people in Canada so they can ship us surplus oil. And although there are a lot of people in Mexico, they're too poor, most of them, to use much oil, so they can ship oil to us. But notice how Venezuela just dominates the map here in our hemisphere. Look at Russia there. They're really a huge country. They go through 11 time zones, they go nearly halfway around the world. They're not so big relative to oil as they are relative to actual land mass, but they're still a pretty big country. They're a major shipper. Russia has many fewer people than we, and they still are not using near as much oil per person as we, so they are in the happy circumstance of being able to be a major shipper of oil. What I really want you to look at for a moment here is China and India. Together, they have, what, about as much oil as we, which is 2 percent of the known reserves. China has 1.3 billion people. India has, I guess, a bit more than a billion people now. So between them, they have, what, about a third of the world's population and 2 percent of the world's oil. And China's doing something about that by going about and buying reserves all over the world. Why would they do that? Since in today's world, it doesn't make any difference who owns the oil, he who comes with the dollars, buys the oil. It's impossible to get inside their head to know why they're doing this, but one might note that simultaneously with buying up all this oil, they're doing two things: one is, they're pleading for international cooperation. I led a CoDel of nine Members to China a year ago this last Christmas/New Year's break. And we had a chance to spend several days with the Chinese talking about energy. And they began their discussion of energy by talking about post-oil. You know, it's hard for us in this country to think much beyond the next quarterly report if you're in business, or much beyond the next election if you're in Congress. But the Chinese are thinking generations and centuries ahead, and there will be a post-oil world. And they have a five point plan. It ought to be the world's five point plan. The first point in this plan is conservation. With oil at $110 a barrel, we have run out of excess oil to invest in alternatives, and we've run out of time. And you could free up some oil and buy some time if you had a really aggressive, worldwide conservation effort. Their second and third points were, get energy from alternatives, and as many of those as you can from your own country. The fourth one is one that may surprise you, and that is, be kind to the environment while you do that because now they're the world's biggest polluter and they know that. But they have 1.3 billion people. They have 900,000 people in what they call rural areas, which, through the miracle of information technology, know how the rest of the world lives, and they are clamoring for the benefits of the industrialized society. And I think that China is concerned that if they're not able to provide those benefits, that their empire may unravel the way the Soviet Empire unraveled. The fifth point in that five-point plan is a really significant one, international cooperation. They know that if only one country does it, that you really could have kind of a Jevons paradox, that is, the harder you work, the worse it gets. Let me give you an example from our country. I suppose that we, alone, I don't think that we have any alternative, Mr. Speaker, we use a fourth of the world's oil. We're a fourth of the world's economy. We are a role model. We're a leader, whether we like it or not, and people are watching us. But suppose that we decided that what we were going to do was to have an aggressive conservation program. What that would do is to drop the price of oil and gas and coal because energy is fungible and those prices will move somewhat together. And then that would make oil even cheaper for the Chinese who are already aggressively competing with us economically and militarily. So it would make them easier to compete with us economically and militarily. So maybe from a national security perspective, one might argue that Gee, let's pig it all up as soon as possible so there won't be any for the Chinese or anybody else. Of course, that's a grossly irresponsible, irrational response. But this points out Jevons paradox, that our unique local situation could, in fact, be made worse if we didn't seek the cooperation of the world, and if we unilaterally, and I don't think we have any choice, Mr. Speaker, because we are a world leader, and the world is headed for some really rough bumps if we don't do something. So I think that we've got to move and hope that the world will follow. But if the world didn't follow, it would simply make more oil available at lower prices to our adversaries, both economic and military adversaries. This is known as Jevons paradox; the harder you work, the worse the problem gets. Well, this is one thing that China is doing is pleading for international cooperation. But at the same time they do that, and I can't get inside their head to know why they're building, very aggressively building a blue water navy, but one might suspect that if you had all that oil around the world and you envisioned that a time might come when you would have to say, gee guys, I'm sorry, but we have 1.3 billion people, and the oil is ours, and we can no longer share it, the only way to make that happen is to have a blue water navy big enough to protect the sea lanes. At the moment we have the only blue water navy that's large enough to do that. The next chart is one that inspired, oh, maybe nearly 3 years ago now, 30 of our prominent Americans. Jim Woolsey and McFarlane and Boyden Gray and 27 others, retired admirals and generals, sent a letter to the President saying, Mr. President, the fact that we have only 2 percent of the reserves of oil in the world and we use 25 percent of the world's oil, and we import almost two-thirds of what we use is really a totally unacceptable national security risk. We've really got to do something about that. That is true, of course. That is a totally unacceptable national security risk. And the President has mentioned that risk in his State of the Union messages. That recognition, in my view, has not been followed by appropriate actions on either the part of the administration or of the Congress. A couple of other interesting numbers here. We really represent less than 5 percent of the world's population. We are one person in 22 in the world, and we use a fourth of the world's energy, and that statistic is not lost on the rest of the world. As oil becomes critically short, and the prices rise, they will be looking more and more at this relatively little land mass across the Atlantic and Pacific that's using a fourth of all of the world's energy. This 8% is really interesting. 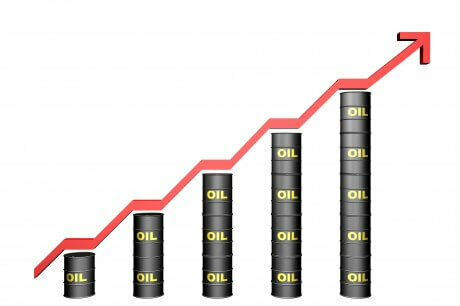 We have only 2 percent of the world's reserves, and I mentioned that we had 530,000 functioning oil-producing oil wells, so we are pumping our oil down about four times faster than the average in the world. This group of people and they're a sizeable number of them, and I commend them, who are really concerned about the price of oil and peak oil and its availability and who has the oil and who uses the oil, these people are concerned about our national security. And their solution to that problem, of course, is to use less fossil fuels and move to other sources of energy, like nuclear and wind and solar. These are all electric, by the way, and liquid fuels are going to be the real challenge. And there it really is a challenge. There is no silver bullet. It's going to be a little of this and a little of that. And at the end of the day, I was privileged to spend a week in South America with the chairman of our Agriculture Committee. And he believes at the end of the day that the world will be able to produce about a third as many liquid fuels as we are now using, and I will tell you that that's probably okay. I think that we could live very comfortably with a third of the liquid fuels that we now have with appropriate conservation and efficiency. So this is one group that has common cause with those of us who are concerned that the oil just isn't going to be there. There's a second group that has a common cause that I wanted to mention because what I think these three groups ought to do is stop criticizing each other's premise and simply locks arms and marches on because all three want to do exactly the same thing. They want to move away from fossil fuels to alternatives. This third group is those that believe that our excessive use of fossil fuels and releasing the CO2 that was bound there in these ancient subtropical seas a very long time ago that produced our oil and gas, and it wasn't seas, but the furnace and stuff that produce the coal. They are now releasing that CO2, and this is a greenhouse gas, and it's trapping the infrared radiations that come back from the Earth after the broad number of bandwidth that comes in from the sun heats up the Earth, and it radiates back just in the infrared, and these are called greenhouse gases because they do for our world what the glass in the greenhouse does for the greenhouse temperature or the glass in your car does for your car which may be 140 degrees on an 80-degree day this summer when you open the door. Now, what the climate change global warming group wants to do is exactly the same thing. Their solution is the same solution as those who are concerned about national security and those who are concerned about the fact that it just isn't going to be there. They want to use less fossil fuels and move to renewables. And the question I ask is, Mr. Speaker, why do we criticize each other's premise? Since we all have a similar path to achieving our goal, why don't we just lock arms and expend our energies addressing the challenge by moving away from fossil fuels to sustainable renewables? The next chart, I wish this could go back the 8,000 years that Hyman Rickover referred to, but it goes back only about 400 years. But it wouldn't matter because if you extend it this way, it's going to be the same. The amount of energy used by mankind is going to be so small that it hardly shows above the baseline. This shows the revolution, the Industrial Revolution. The brown line is wood, the black line, appropriately, is coal, and the red is gas and oil. Wow, look what happened. When we found gas and oil, and we learned how to use the incredible amounts and quality of energy and gas and oil, the use of energy just exploded. And with it, by the way, the world's population. If I had a population graph, it follows that same curve. It goes from a half a billion or so down here to roughly, what, 7 billion now, approaching 7 billion people in the world. Notice what happened in about the 1970s there. And notice the amount of trouble we would have been in if that hadn't happened. 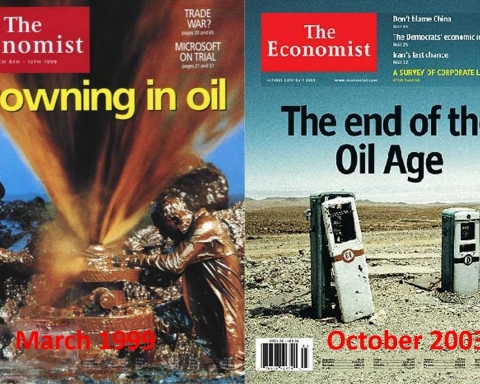 We had the embargo-inspired oil price spike heights in the 1970s, and there was a worldwide recession. And notice the dip in gas and oil consumption. And then when we recovered from that recession, the slope, and that will show up better on some future graphs where the abscissa is spread out, the slope is very much less than it is here. The slope there, if we'd continued on that slope today, we would be above the chart there, wouldn't we? The statistics there were just stunning. 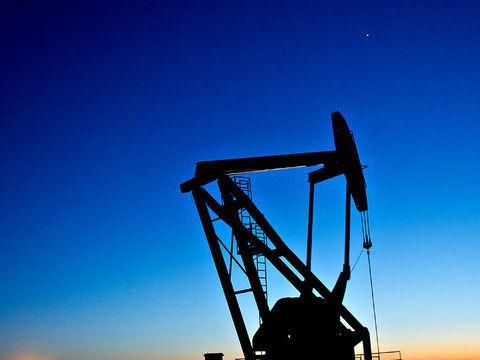 Every decade the Earth used as much oil as had been used in all of the previous history. What that meant, of course, was that had we continued on that path, and we'd used half of all the oil that we could ever recover, we would have had 10 years remaining. Hyman Rickover, in his speech, and in just a moment I'll have a quote from that speech. I just want to note something here before we put his quote up. He recognized that there would be an age of oil. That age of oil started back here, what, in the late 1800s. They were about 100 years into the age of oil and gas and coal because you can move this back a little bit for fossil fuel energy, about 100 years into the fossil fuel era because oil and gas have so dominated that you could refer to it as the age of oil. And he noted that there would be an age of oil like there was a stone age. Now, I know the cute remark is the stone age didn't end because they ran out of stone; and, therefore, the age of oil won't end because we ran out of oil. That gets a smile and an applause line. But I think if you believe that we can just go through business as usual and we're going to come out okay, that you probably also believe that you'll solve your personal economic problems by winning the lottery because I think the odds of that happening are about the same. Well, this is the first part of the age of oil. As you will see from M. King Hubbert's predictions, the other side of this should be a mirror and come down like this, so we know pretty much how long the age of oil will be. We are about 150 years into this Golden Age, and in another 150, it will be gone. Now, the quote from Hyman Rickover. This is his speech given the 14th day of May 1957, to a group of physicians in St. Paul, Minnesota: There is nothing man can do to rebuild exhausted fossil fuel reserves that were created by solar energy 500 million years ago and took eons to grow to their present volume. In the face of the basic fact that fossil fuels are finite, the exact length of time these reserves will last is important in only one respect: the longer they last, the more time we have to invent ways of living off renewable or substitute energy sources and to adjust our economy to the vast changes which we can expect from such a shift. Fossil fuels resemble capital in the bank. I love this statement. It so correctly describes the collective attitude of the world. A prudent and responsible parent will use his capital sparingly to pass on to his children as much as possible of his inheritance. A selfish and irresponsible parent will squander it in riotous living, or wanton drilling and consumption of oil might be substituted there, and care not one wit how his offspring will fare. I have 10 kids, 16 grandkids, and 2 great-grandkids. We are going to bequeath them a horrendous debt, not with my votes if you check the record, but they're going to get the debt anyway. I tell those who would like me to vote to drill in ANWR and offshore that wouldn't it be nice if I left them a little oil. By the way, I will vote to drill there when I have a commitment that they're going to use all of the energy and the money that they get from pumping those reserves to develop alternatives. The next chart and this may be my last chart because the hydrostatic column that I mentioned, I had difficulty maintaining is giving me some problems. This is the second one. There were two charts that were very insightful, and this is the second of those charts. This shows the discoveries, and notice that those discoveries occurred a while ago. Here we are over here. Huge discoveries behind us, very few currently in spite of lots of money spent, lots of drilling and so forth. This solid black curve is the same curve we saw before. This is the use of energy. A system was compressed and the ordinate expanded, and here's a very sharp curve. Here is the recovery with much more efficiency after that recession in the 1970s as the result of the Arab oil embargo. Now, where will we go from here? Unless we find a lot more oil, we have these reserves that we can pump in the future. If we pump them very aggressively and bleed them down quickly, we may get more for the moment and less for the future. 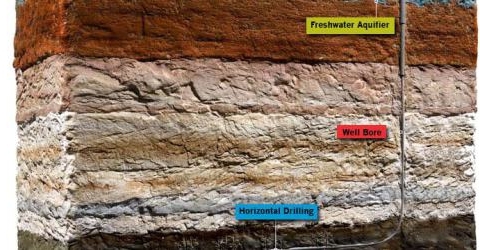 And you can vary the slide down the other side of the world's Hubbert's peak there by some of the things you do with aggressive drilling and enhanced oil recovery. But remember, you cannot pump what you have not found. I want to look at one more chart, and then I will have to yield back my time. I have been saying for 3 years now that we were about to reach peak oil, and I started saying that back here 3 years ago. And at just about that time, the two big agencies in the world that track the use of oil have found that it's flat. One is the IEA, the International Energy Agency. This is a group that monitors what is happening in Iran, among other things. The other is the EIA, the Energy Information Administration, a part of the Department of Energy. Both of those have the production of oil flat for about the last 3 years. 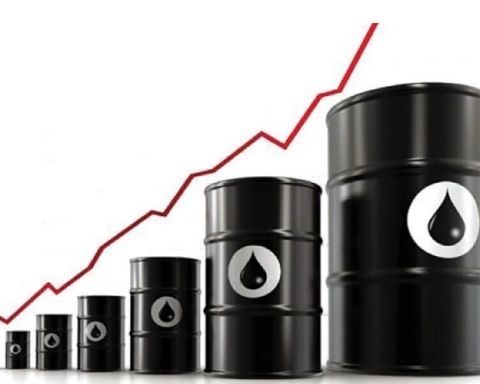 And while that's been flat, the price of oil has gone up, as it should with a flat production, and increased demand has gone up from $55 a barrel to $110 a barrel. You can see that spike here. Mr. Speaker, I'm very sorry that the flu and its effect on my ability to maintain a hydrostatic column mean that I am going to have to yield back my time and sit down. But I want to reemphasize how important this subject is. There is a solution, by the way. That solution will require the total commitment of World War II, the technology focus of putting a man on the Moon, and the urgency of the Manhattan Project. I'm excited about this. It's exhilarating. It's a huge challenge. There's no exhilaration like the exhilaration of overcoming a huge challenge. Mr. Speaker, at this time, I yield back.